Hello internets! A belated Happy 2010! So much happened in 2009. I wrote a bit about moving into our new home. Shortly after we moved in, something so life changing happened that I fell off the face of the blogosphere. Jake and I got pregnant- EEEE! The combination of horrendous morning sickness, working crazy hours and still trying to finish our home led to me neglecting my beloved blog. The biggest thing to happen in 2009 was our little Eloise, who arrived on December 18th. Isn't she lovely? She was born quickly (read: shot out like a high speed train) and in perfect health. We could not feel more fortunate. Our top notch wedding photographer, Dean Thorsen, decided to create a family and kids business and he was kind enough to come photograph Eloise at 8 hours old. Here she is with her mommy and daddy. More photos here. I also decided to throw in a little extra stress by starting my own business. You might have noticed a change if you visited the homepage for i heart peonies. The site is still in its infancy as we are working on adding photos and playing with design, but it was so exciting to get it up and working. Thanks to my loving husband, father of my child, for building it! After years of planning non-profit events, designing flower arrangements and drowning in all things wedding, I made the plunge and became a wedding coordinator. Through word of mouth, I found my first clients shortly after announcing my decision. Lucky for me, they have all been lovely, innovative and happy to let me run with it. I love, love, love my job. LOVE. 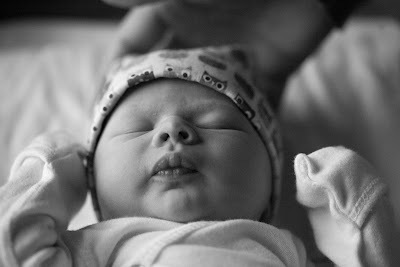 I have taken some time off to take care of the new addition to our family, but things are starting to gear up for 2010! More on that, later. The last big piece of news is that my little sister got engaged at the end of the year. She and her fiance had been dating since they were juniors in high school. Even though they are youngins, the most common reaction to their engagement was "Finally!" She had been playing it coy, probably out of fear that I would inundate her with wedding craziness, but she is now knee-deep in great ideas. It sounds like their wedding might be a little country, a little rock n roll, with lots of vintage details. Their engagement enabled me to brave my Google reader. It had been bursting with gorgeous wedding ideas for months and I had only checked my favorites, but now I am discovering lots and lots of great new writers and new ideas! I am hoping to write while E naps going forward. Here's to lots of naps and lots of posts in 2010! welcome back, natalie! i've missed you. so happy that eloise is here and is healthy and beautiful! congratulations on the baby, the beautiful life, and the exciting business! life is good! Congratulations and your adorable baby girl, I just LOVE the name Eloise! Welcome back! Congrats on everything! 2.) More pictures of your lovely home. 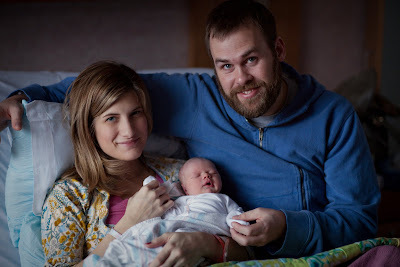 Welcome back, Natalie, and congrats on the wonderful, beautiful addition to your lovely family! Congrats on the new addition and the awesome career decision! So glad to have you back in the blogging world! Congratulations on little Eloise, she is beautiful! Congrats! Love the name! Looking forward to seeing your wedding designs! Yay, so good to hear a peep from you again! Congratulations, Natalie! Eloise is absolutely gorgeous -- what a beautiful family you three make. I'm so glad to see you back in the blogosphere and I look forward to following your new business and your blog! Welcome back! I have missed your posts! Congratulations on your new addition! She is adorable! I loved the pictures your photographer captured at the hospital... they were so sweet! Best of luck starting up your wedding planning business! That is such great news. So much for you and your family to look forward to this coming year! LOVE IT!!! Eloise is beautiful! One of my favorite names! I also added you on twitter, by the way! congrats! i just checked in on your blog - what an exciting year for you!